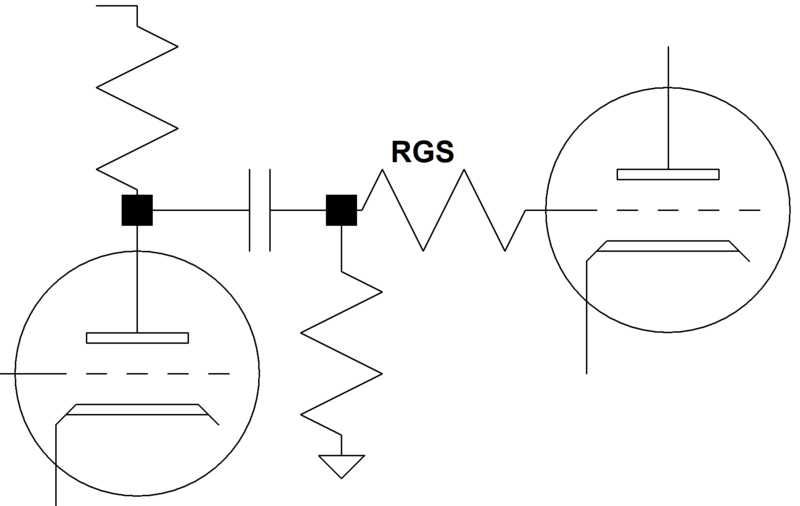 The grid stopper resistor RGS blocks radio frequencies while allowing audio signals to pass. This keeps the amplifier from becoming a radio receiver and prevents the stage from breaking into parasitic oscillation. Large values can be used to attenuate treble and improve the dynamics of overdrive. The frequency response for a given resistor value depends on the output impedance that drives it, the inter-electrode capacitances of the tube, and the voltage gain that it achieves. The calculator plots gain versus frequency based on these factors.